Product prices and availability are accurate as of 2019-04-19 21:47:16 EDT and are subject to change. Any price and availability information displayed on http://www.amazon.com/ at the time of purchase will apply to the purchase of this product. 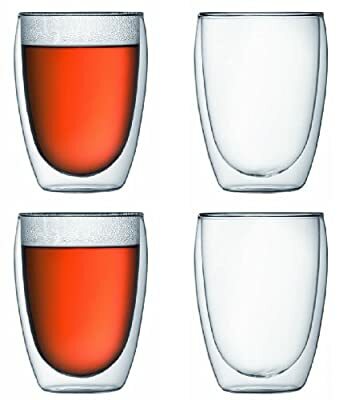 Amazon.com Product Description Bring a unique and trend-forward look to the table with this set of six 12-ounce glasses, which measure 3 by 3 by 4-3/5 inches each. Intricately handcrafted of mouth-blown borosilicate glass--the same material used to make scientific lab equipment--the glasses offer durable, temperature-safe construction that holds both hot and cold drinks at their optimal temperature longer than traditional drinkware, making them an ideal choice when serving wine, beer, coffee, tea, and even kid-friendly beverages such as milk, juice, or hot cocoa. 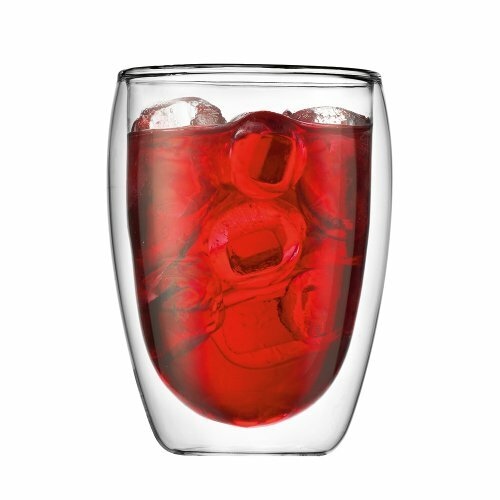 The walls of each vessel sport two layers of clear glass that create a dramatic optical illusion of liquid suspended within, while at the same time resisting heat and preventing condensation--leaving them comfortable to hold and safe for placement on any tabletop or counter. Furthermore, their smoothly rounded profiles and low statures fit perfectly in the hand and make it a pleasure to enjoy everyday dining, special-occasion hosting, and everything in between. A smart and family-friendly addition to any kitchen, the handsome glasses go safely in the microwave and clean up easily in the dishwasher for perpetually cloud-resistant, crystal-clear presentation and performance. Editor's Note: Because the glasses are mouth blown, each one may have slight variations in height, thickness, and weight. 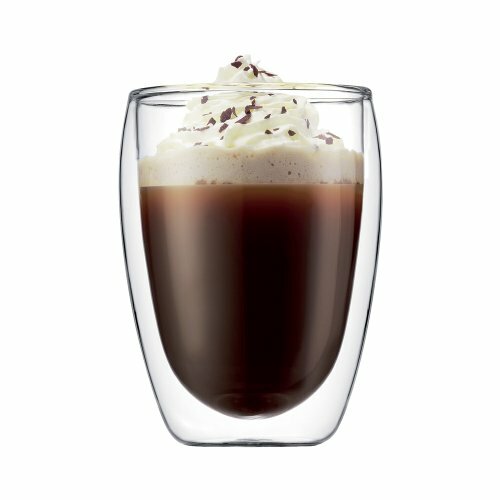 Bodum recommends using care when placing ice into the mugs to avoid fracturing the inner layer. Do not use metal spoons or place the mugs into a crowded dishwasher.